I am back with three robotic vacuum cleaner, which you can get to buy from everybuying.net at a very reasonable price. Basically, women are no more restricted to doing only household works, but rather managing more than that even both indoor and outdoor works. Keeping their hard works in mind, I am dedicating this article to those working ladies, who are really struggling a lot in their daily life. I will be discussing 3 robotic vacuum cleaners that are performing best in their field, and as per the market review, their users are highly satisfied with their functionality. ILIFE V7S will serve both the purpose of wet as well as dry mopping of your floor. In its working system, when you will use the dust storage tank box, it will serve the purpose of the dry sweeper. And when you will attach the water storage tank box, it will serve the purpose of a mop. The capacity of the water tank box is 450ml and the dust box capacity is 500ml. There are 4 cleaning modes; automatic, border, concentration and reservation. With the help of these cleaning modes, you can be able to clean up any mess like confetti debris, cigarette butts and ashes, and even vegetable scraps while cutting or cooking in your kitchen. In short, it will be very easy for you to clean up anything lying on your cement or ceramic tile floors, or even on your wooden floor or carpet, etc. The cleaning area you can be able to cover is between 80 – 220 square centimeters. The battery used in this robotic vacuum cleaner is lithium battery with 2600mAh capacity. If you charge it for 5 hours you can use it for approximately around 2.30 hours. You will get one remote controller with this vacuum cleaner for operating it, which will work within 4 meters of the gadget. This remote controller will be activated with two AA battery. So the output is quite decent. You can use it even while you are sleeping due to its low noise inbuilt capacity, which you are getting because of its 60dB. 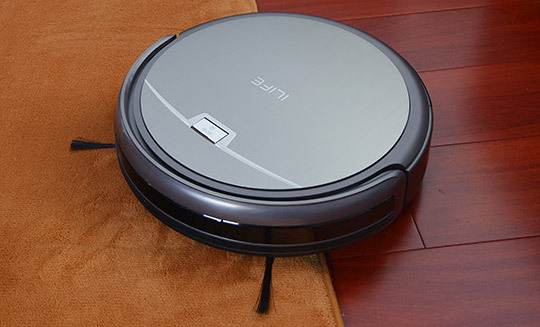 The overall weight of this robotic vacuum cleaner is 2950 grams and its dimension is 13.39 x 13.39 x 3.15 inches. 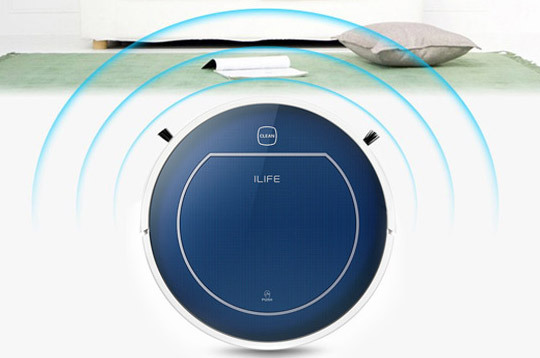 The price kept for this robotic vacuum cleaner is approximately around $228.00. 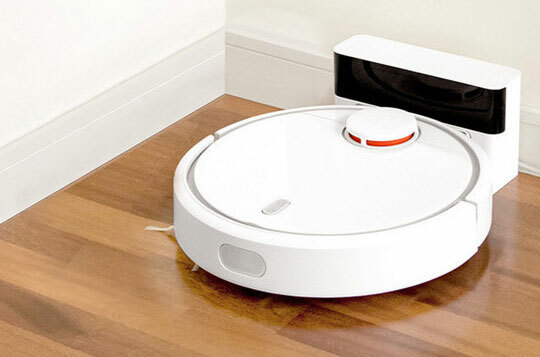 The second robotic vacuum cleaner is from the well-known brand known as XiaoMi. 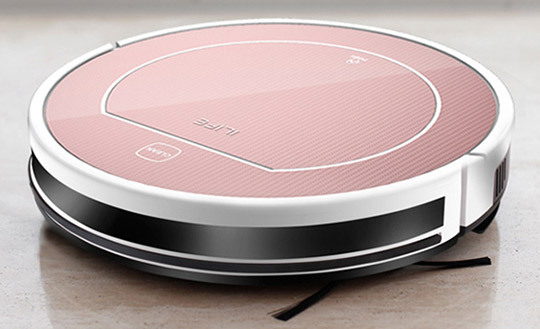 With the help of this Mi Robot Vacuum, you can very efficiently sweep and suction out all the dust from your home. In this vacuum cleaner, you will get to enjoy 12 different sensors which will work in different manners. These are Laser distance sensor, wall sensor, dustbin sensor, a collision sensor, an ultrasonic radar sensor, electronic compass, cliff sensor, gyroscope, accelerometer, drop sensor, speed meter, and fan speed sensor. This is a highly intelligent home cleaning device. The suction capacity of this robotic vacuum cleaner is 1800pa which is considered to be very best for doing the suction job efficiently. You can control it with the help of your smartphone by just downloading the Mi Home App. You can also set up your cleaning activity automatically for doing it on your own favorite time. In this vacuum cleaner, you will get two types of brushes. One is main hover brush and the second one is the side dynamic brush. The main brush can be adjusted in height and both of them are quite firm and sturdy. Xiaomi has used a Nidec brushless DC motor on this vacuum cleaner. Moving towards the battery section, they have used lithium battery with a great capacity of 5200mAh. This will work for at least 2.5 hours. And when the work is done it will automatically go to the charging dock for charging itself. The weight of this vacuum cleaner is 3.800kg with 14.96 x 12.99 x 3.15 inches of dimension. The price they have kept for their product is approximately somewhat around $460.00. This third one is again from the brand known as ILIFE. With the help of this ILIFE V7, you can enjoy doing activities like sweeping, side cleaning, special cleaning, and timing cleaning and mopping your floor. It’s a touch screen vacuum cleaner. With the help of the OBS System present over this vacuum cleaner, it will very easily avoid the obstacles to clean out every corner of your room. It also has the fall protection sensor in it. Under any normal circumstances, your vacuum cleaner will not fall down from the table or stairs of your house. This is also a super mute vacuum cleaner with a 50dB noise. That means you can take rest or even fell asleep while it is on work. The battery used in it is built-in lithium-ion battery with a 2600mAh capacity. After charging it for its full time it will give you service for at least 2 hours and it will cover up the area up to 150 square meters. The weight of this vacuum cleaner is 2. 950kg and the dimension are with 13.39 x 13.39 x 3.15 inches. The price of this product will somewhat around $159.00. Any of the above 3 robotic vacuum cleaners is quite helpful to be added to our household gadget list. They all are enriched with multiple helpful features which can help us to keep our home clean and germ-free. And looking into these gadgets I can say one thing that anyone evens a kid can do the household cleaning job of their own while playing. So you should definitely give it a try, for making your job much easier from the next time. Is Video a Part of Your Digital Marketing Strategy?